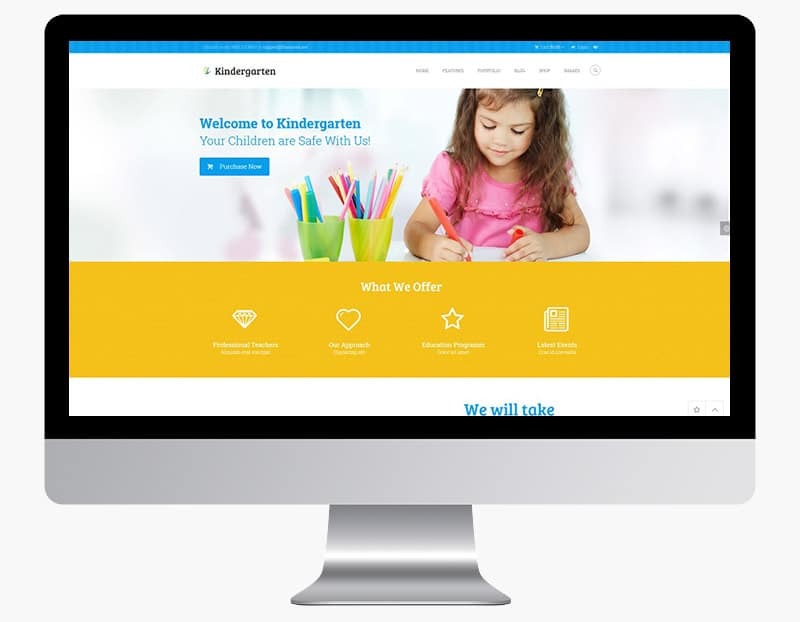 If you are building a website for nursery, pre-school, primary/elementary school, kindergarten, child care, day care, children art and craft school or any other kids related websites, we have a great list of Kindergarten WordPress Themes for you. They are playful, full of colours and happy children’s faces, the more colour, the better in this case. Below are some examples of Cute Kindergarten WordPress Themes, to help you pick the perfect one for your needs. There are a few things a good Kindergarten WordPress Theme needs to have. Because the visitors will be parents or guardians, the theme needs to present information as clearly as possible. But of course they need to be colourful and playful because of the topic, with adorable photos of happy children and illustrations. A gallery, about us, what are the services or classes pages, are a must have. It is important that the theme has a section where the teachers are introduced to insure trust. A very good addition is a price list, themes Child Dooris and Little People themes have them. Also a good thing to have is a time table, the PeachClub theme has a great one. We found a lack of Meal Plan pages in the themes, because we think, that is a very important issue to the parents. The Kiddie theme has it under pages and it can be updated weekly. 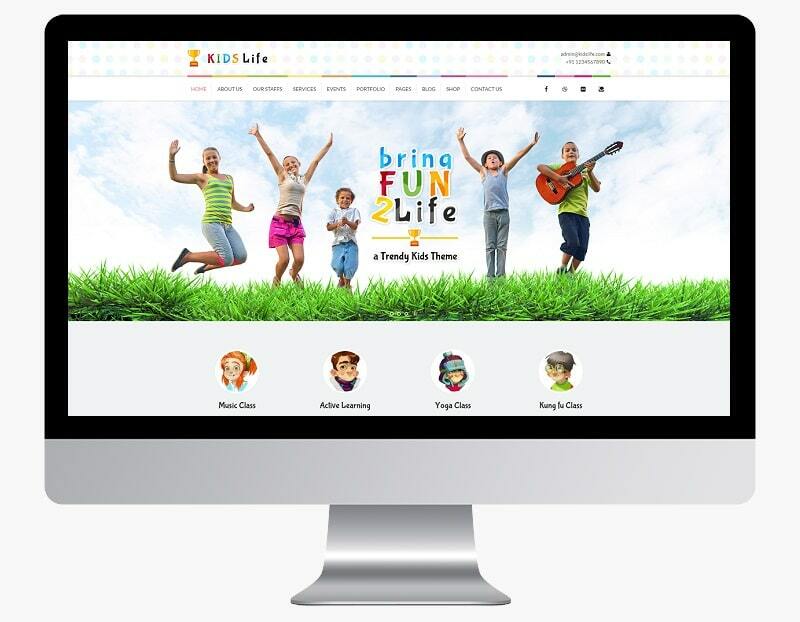 With pleny of features that allow you to fully customize your website, Kids Zone WordPress theme is a perfect solution for kindergarten, preschool, day care and other niche sites. 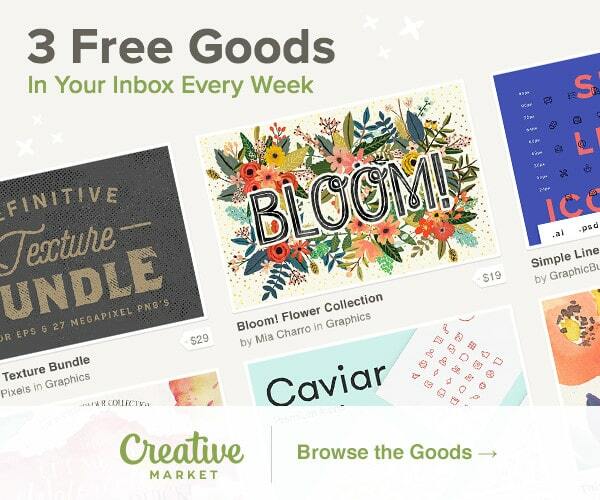 The theme is compatible with some of the most popular plugins, like WooCommerce, WPML, Event Calendar Pro and Contact form 7 to name a few. Moreover, with the help of the Visual Page Builder, building new pages could not be easier. Not to mention, the drag and drop option allows you to have a ton of fun creating your new website exactly how you like it. 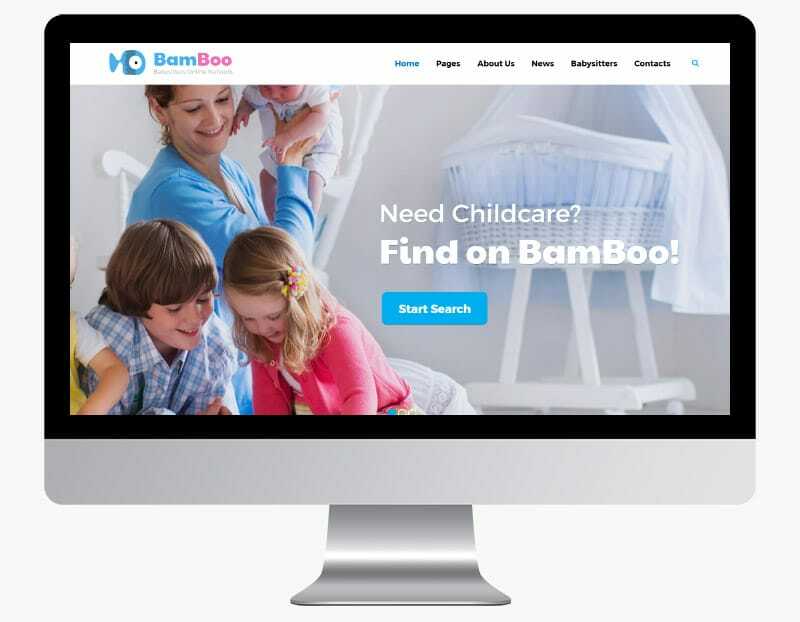 BamBoo theme has modern and functional design and perfectly suitable for creating Childcare oriented website. 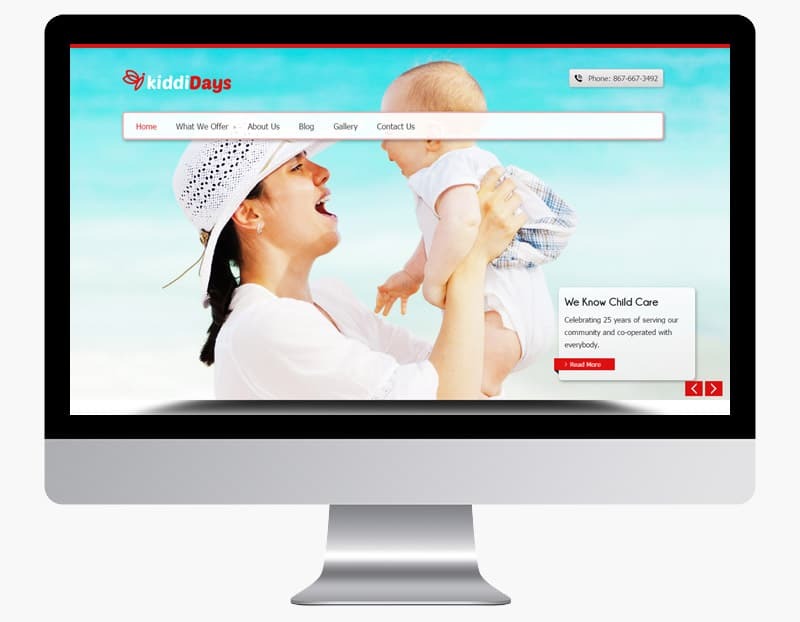 Its main focus is on babysitters network, nurses teams, and similar websites. It’s used to connect different nannies into a successful team and your users never have to worry about getting the wrong babysitter. You can always check their credentials to see if they are suitable for you. For any kind of kids website you are after, like kindergartens, nursery or preschool, Kindergarten WordPress theme by CraftedPixels is worth checking out. It is a super simple, modern, responsive and retina ready theme based on a Bootstrap 3. With all of the features it comes with, you can build and customize a website to your likings. 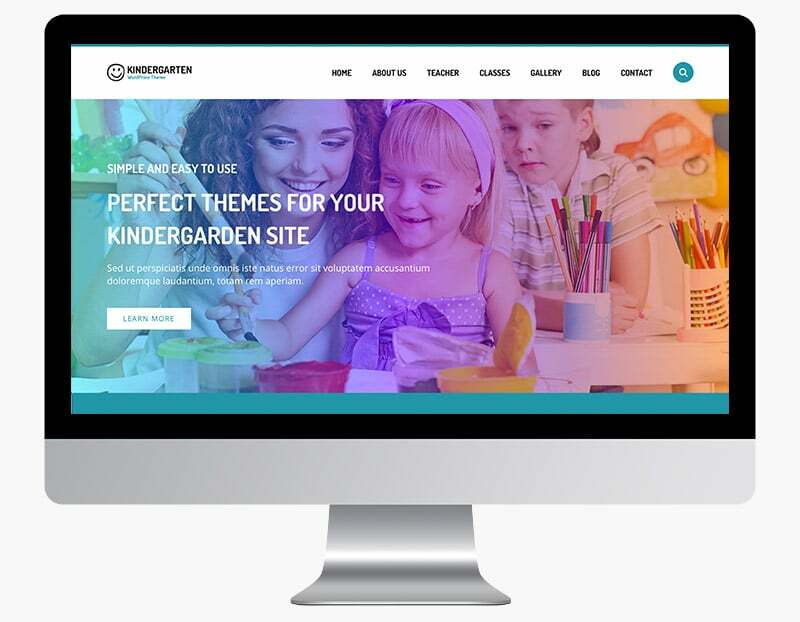 If you are in need of a WordPress theme for a chilrden’s website, Kindergarten might just be the perfect solution for you. 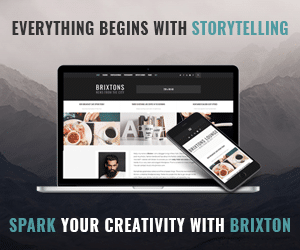 It featues a ton of awesome features, like free premium plugins, various headery layouts, beautiful sliders, fully optimized for mobile and more. Child Care WordPress theme caters services to the children like nurseries, day-care centers, and party organizers for children’s functions. Unique full-width slider, fully responsive and easy to customize theme has powerful admin panel that let keep complete control and command over your website. The KidsWorld theme has been developed to act as the fun learning source for the kindergarten students. The website can act as the perfect portal for the teachers, students, and parents to interact and present their vision towards the future. The contact form is also provided which can be used by the parents to get in touch with the school for different occasions. 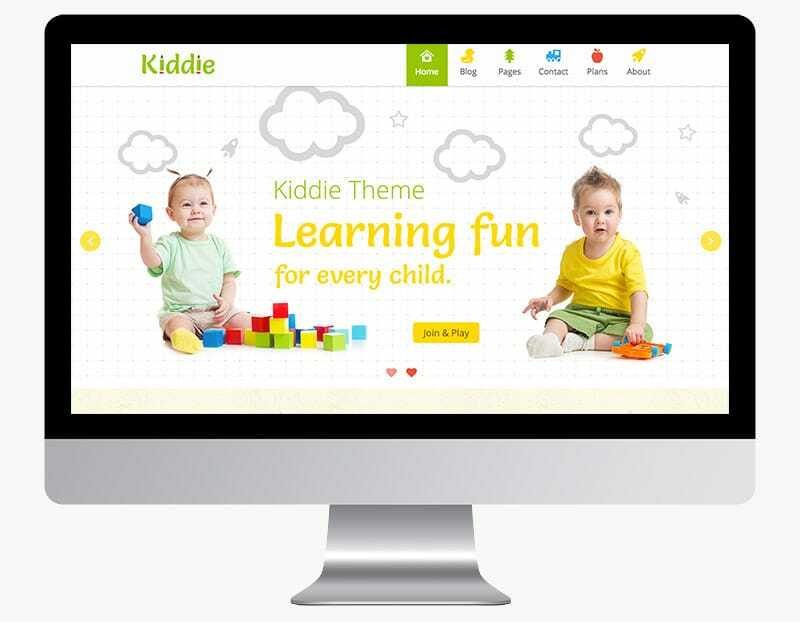 Kiddie is a playful and flexible WordPress theme, with vibrant colours, fonts and images. It is beautifully made and very easy to customize with the drag and drop page builder. This theme is integrated with Visual Composer to help you create a page layout with ease. As you can see in the demo, Revolution Slider helps you to create beautiful slides with splendid animation effects. 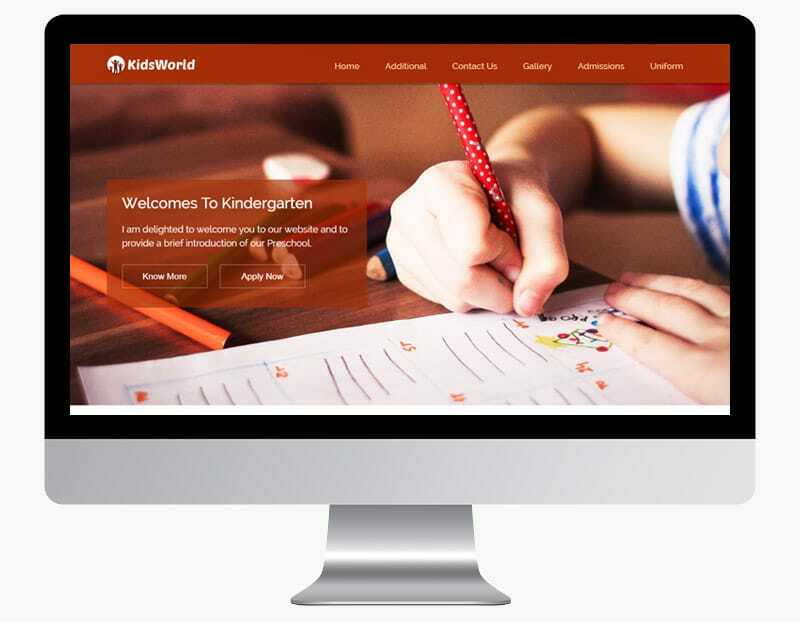 KidsWorld is colourful and dynamic, responsive and retina ready. It is perfect for a lot of different kinds of purposes related with kids, like day care centres, pre-school, child care centres and more. You can show all the important informations through different pages. Fonts are playful but have great readability and the colours are bright and happy. 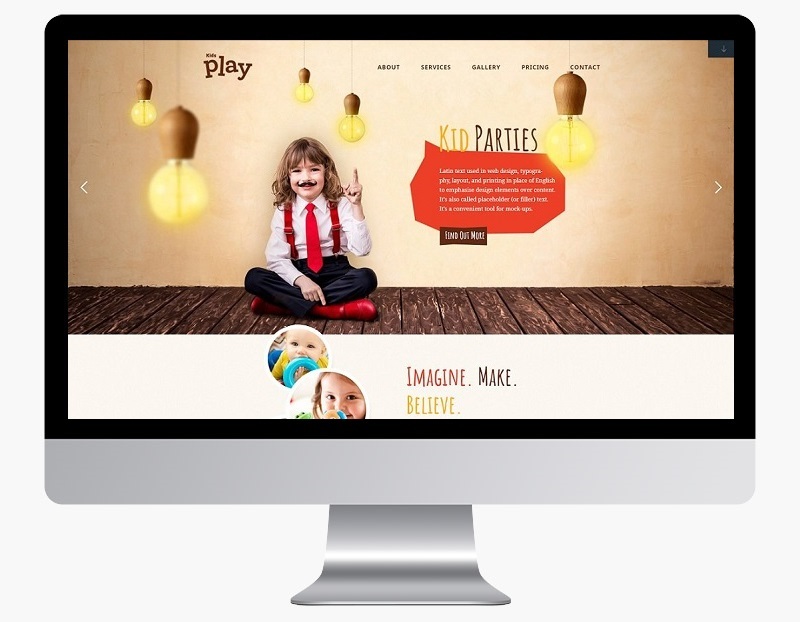 Kids Play is another super cool kids WordPress theme by ThemeFuse. It is a good solution for any type of kids oriented websites like kindergarten, toddler care center, parties and Arts/Crafts website. The theme consists of several font icons and custom backgrounds which can surely help you make a stunning website. We are really impressed at unique background images displayed on demo preview. You can surely not find these type of styling elements with any other kids WordPress templates. Kiddy has a really cute menu and when you scroll down it just gets more cute with all the illustrations, colours and perfect use of typography. It also looks perfect on tablets and mobile devices due to its responsive design and retina graphics. Because of its great code quality, detailed documentation and dedicated support it is a great buy. With this fully responsive and retina ready kindergarten WordPress theme, you can build pretty much any kind of websites within the industry. It suits perfectly for nursery, day care, children, preschool, education and any other kids site. This trendy kids WordPress theme, Kids Life, will make the process of building your new website or upgrading your existing one fun and entertaining. Shortcodes, drag and drop page builder and a ton of other features will help you bring your idea online quickly. Make it colorful, jolly and appealing to the eye. 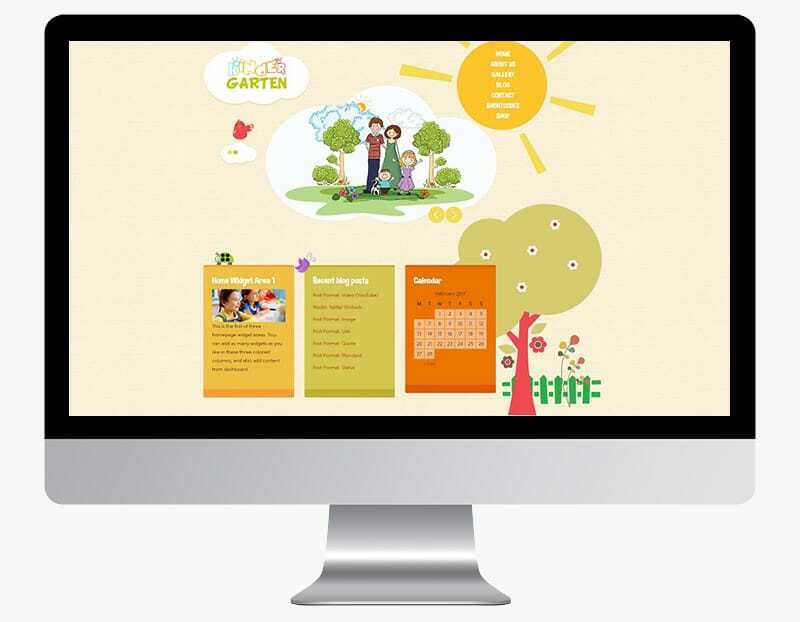 Kindergarten WordPress theme is playful, responsive, easy to use and it gets the visitors of the page the information they seek. It is good for child care centres, pre-school and kindergartens. The fonts in this theme are more classic and the green could be more vibrant, but they fit great. Child Dooris has a modern design, a great menu with colour icons, that gives it the playful feel. You can customize it for your needs and it looks good on every device. It would suit for any children art and craft school. 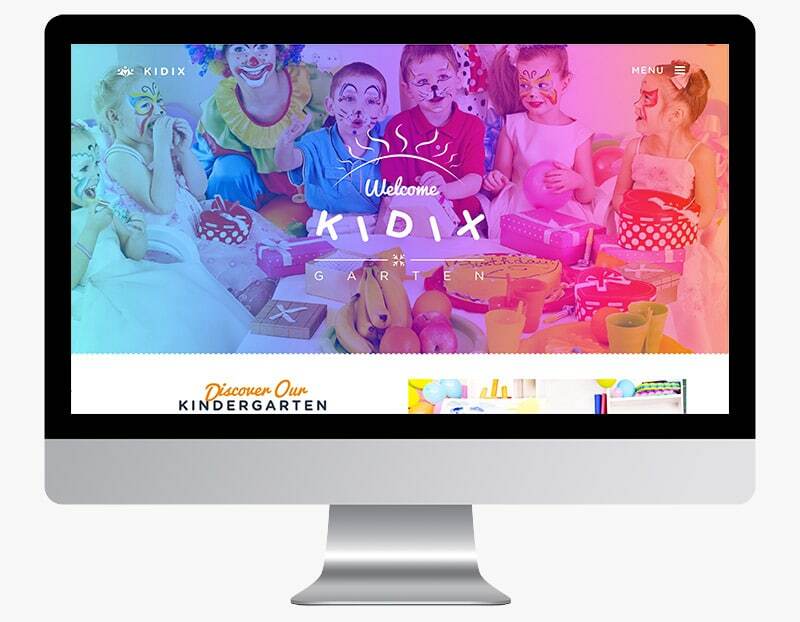 Kidix is a great WordPress Kindergarten Theme, because it is responsive, very easy to use and it comes with Visual Composer page builder. It is best suitable for kindergarten, school, education, child care center, preschool or nursery related websites. 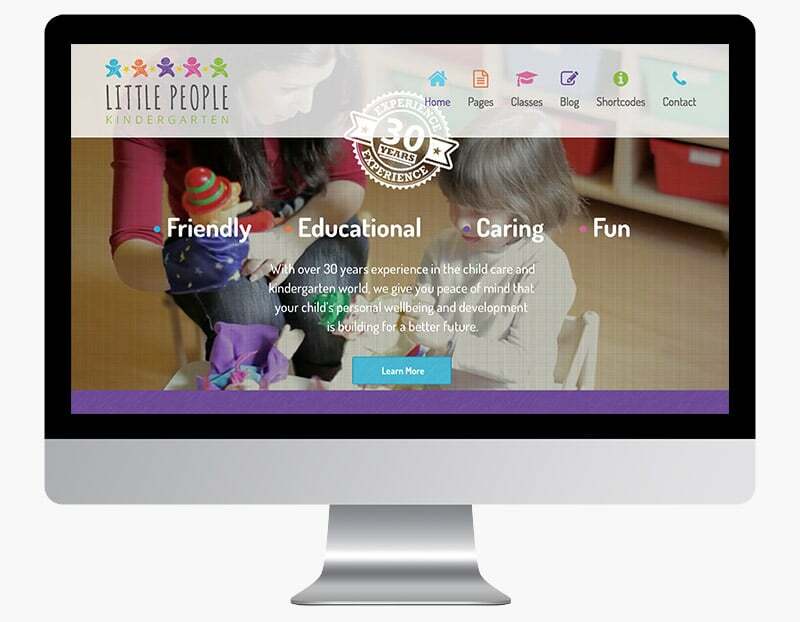 Little People Kindergarten WordPress Theme is great because it allows your customers to get immersed in your content instantly. It allows you to achieve that with full screen images, parallax video backgrounds, elegant typography, angled rows and animations. 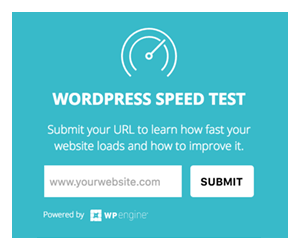 Create a stunning web presence that will impress everyone coming across it. 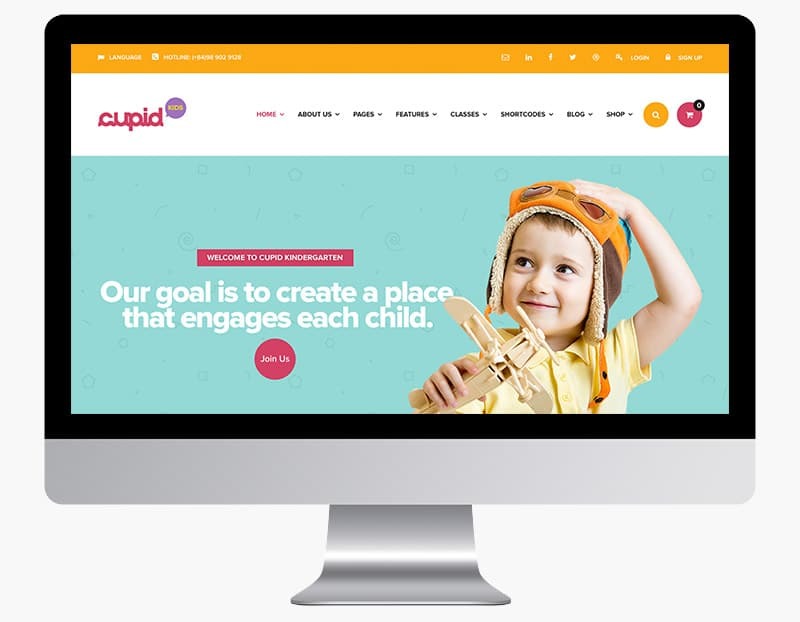 Cupid has a modern and professional design but is still looks adorable and perfect for Kindergarten themes. 6 home page demos show you how much can be done with this theme. It comes with many useful assets described in features. Modern, Professional Design – This theme is designed by a team of professional designers focused on user-experience and design style. Kids Care is a premium, modern and flexible WordPress Theme for kindergarten’s school or any similar local business website. It is very easy to setup and use. 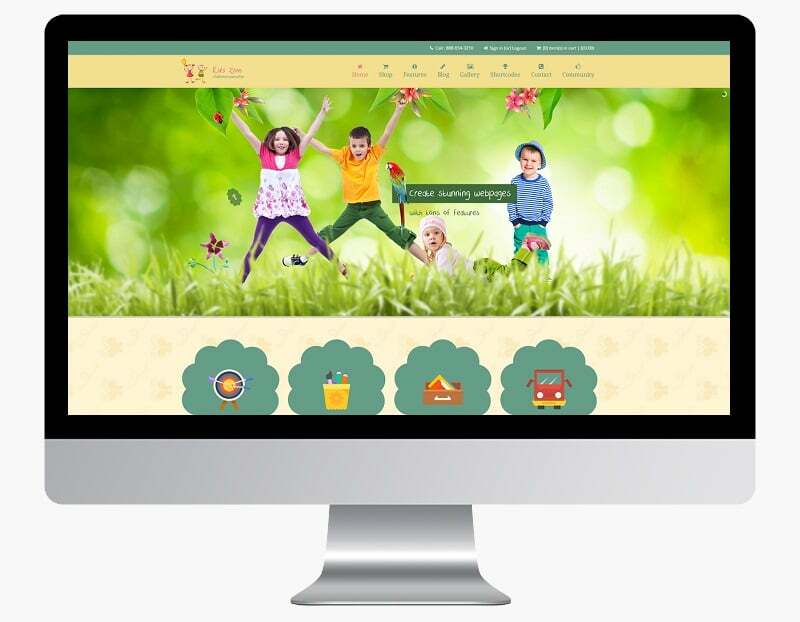 PeachClub is a well made responsive WordPress theme for kindergarten, child care centre, pre-school or nursery, school, and other small businesses connected with children. It has unlimited colour options, 650+ google fonts and comes with Revolution Slider so you can manage it by for your own liking. 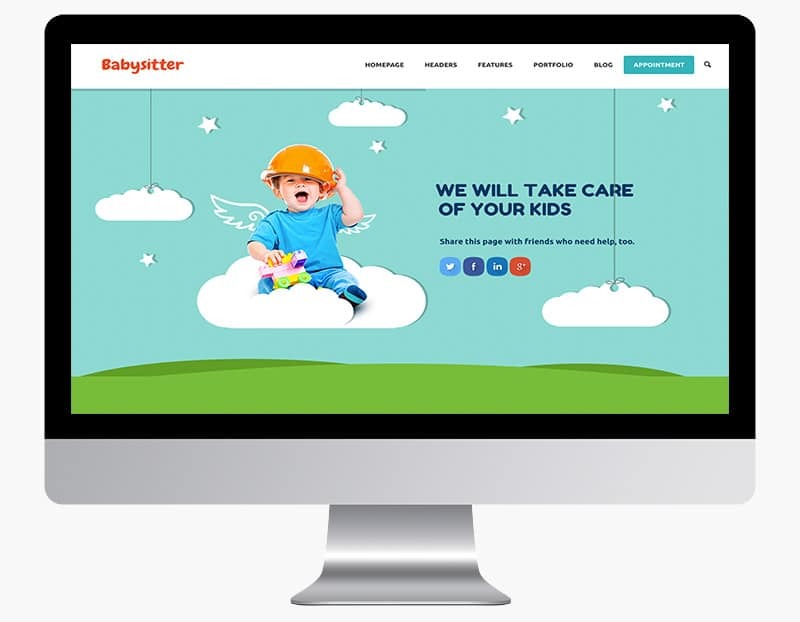 If you are in the business of child care, these Cute Kindergarten WordPress Themes will definitely help you present your business to parents needing the kindergarten services. It is important that it is playful, colorful with cute images.